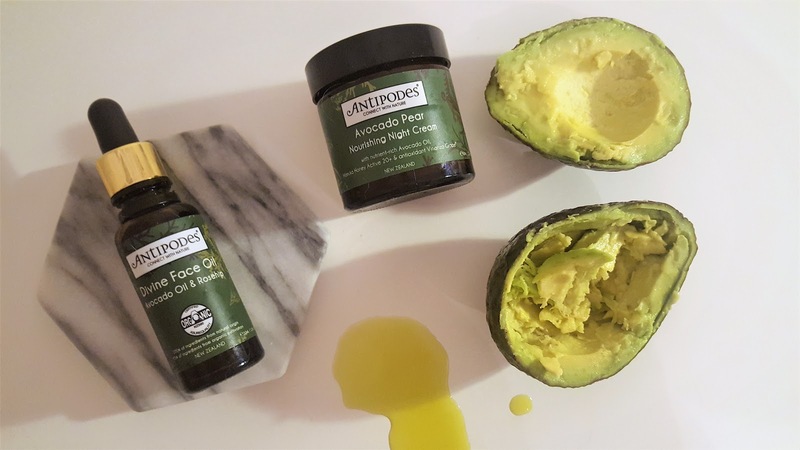 I LOVE Antipodes the organic skincare brand pulls winning products out of the bag regularly! This time they are harnessing the power of Avocado Oil. This dream team of Divine Face Oil, and Avocado Pear Nourishing Night Cream - treats the skin with moisturisation. Avocado oil is a nutrient-packed superfood that provides a multitude of benefits. It is packed with Vitamins A, B1, B2, and D - plus the powerhouse antioxidants Vitamin E and chlorophyll, which help reduce skin damage and unwanted ageing. These antioxidants work together to collect and neutralise free radicals, highly reactive molecules and unstable compounds that can destroy skin cells and DNA. 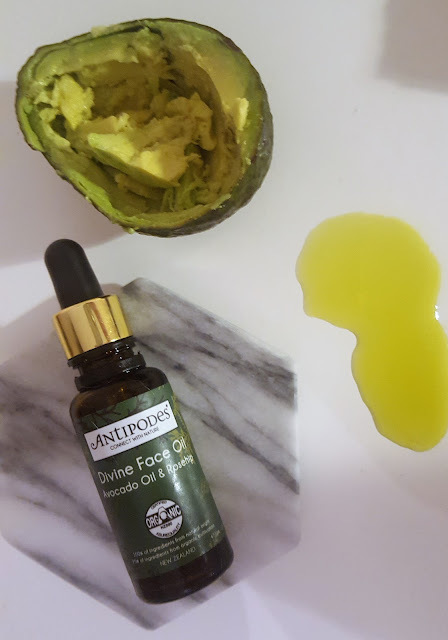 Avocado oil is high in essential fatty acids like Omega 3 and Omega 9, which provide excellent regenerative, restructuring and moisturising properties. The powerful ingredient also contains high levels of plant compounds called phytosterols. Phytosterols prevent water loss, reduce inflammation and rejuvenate tired and stressed skin. They also reduce the appearance of age spots, sun damage and unsightly scars. So it’s no surprise Victoria Beckham, Lupita Nyong'o, Jessica Biel and Jennifer Lopez use avocado on their skin and hair. 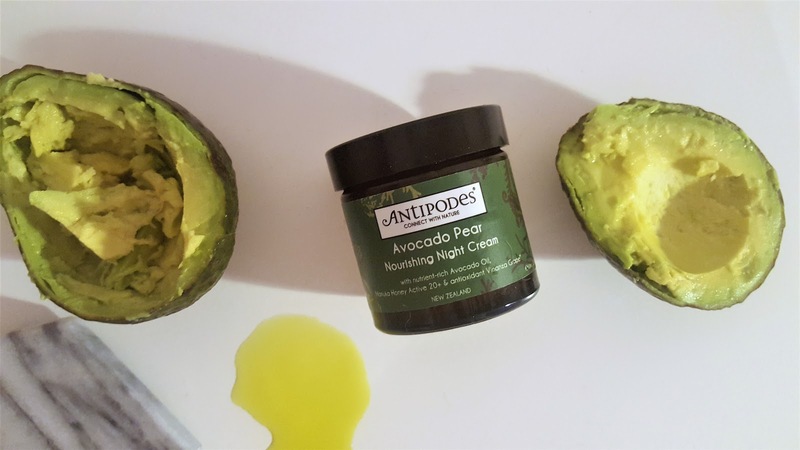 Its ability to deeply moisturise, protect and repair the skin is what lead cult New Zealand beauty brand, Antipodes, to feature avocado oil as the base ingredient in many of its products. Avocado oil is found in the Divine Face Oil (loved by Georgia May Jagger), Avocado Pear Nourishing Night Cream (loved by Cara Delevingne), Rejoice Light Facial Day Cream and Joyful Hand & Body Cream. The collagen boosting properties of Avocado Oil have always intrigued me. For something that looks so ugly to the naked eye = this little green skincare marvel really hydrates my skin. 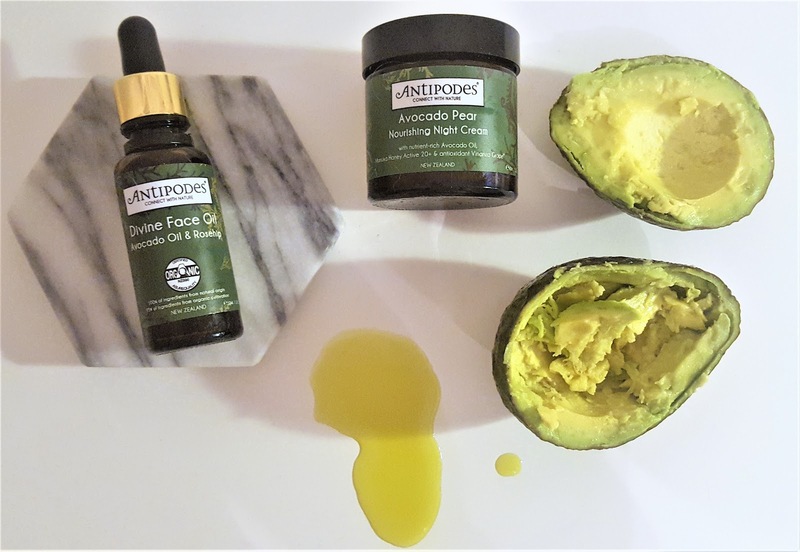 Avocado oil helps reduce the appearance of lines, age spots, scars, and wrinkles. You'll find inside this oil - Avocado oil, and Rosehip. 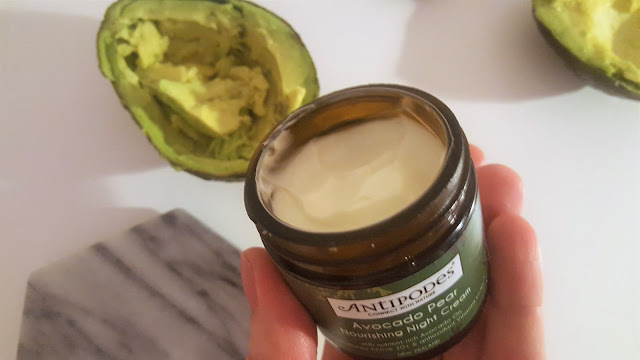 I put the oil on first after cleansing, and then add ontop of it the Avocado Pear Nourishing Night Cream. Lastly the Avocado Pear Nourishing Night Cream contains native New Zealand manuka honey which draws moisture to your skin alongside the Vinanza Grape is a potent antioxidant extract from Marlborough sauvignon blanc grape seeds to help neutralise the effects of free radical damage that can lead to premature aging. This Avocado Oil Pairing has really helped my parched dry skin in the past few weeks. The Night Cream especially is my absolute favourite, purely because of its thick, creamy texture which my skin simply drinks in! Did you know all the skincare benefits of Avocado Oil? These sound really nice! I love making face and hair masks with avocado.